Posted on March 31, 2016 . 1 comment. After I left Kuji Station and put my baggage in the hotel nearby. It’s time for Dinner which I planed to have it at Moka. 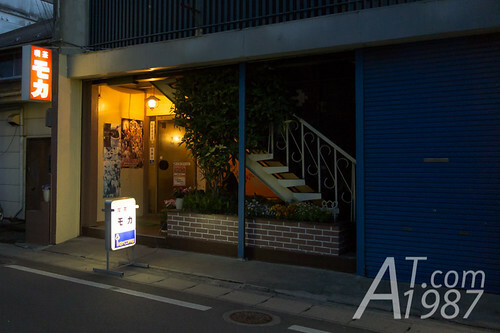 The cafe that Cafe Rias in Amachan is modeled after. 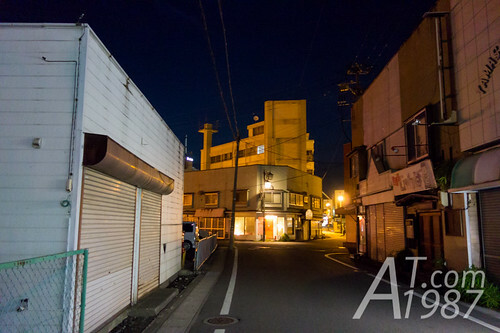 It is on the right side around the middle of the alley. Moka is opened from 11 AM to 10 PM. 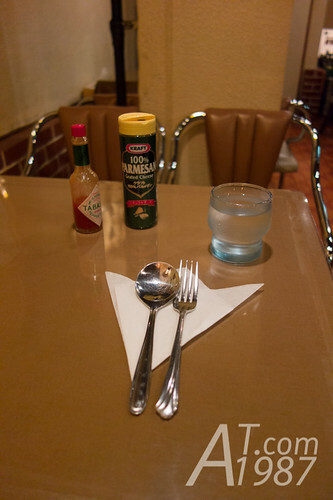 If you come back from the trip late, you can still have some meals here. Inside restaurant is decorated in retro-style. There are many signatures of celebrities. Most of them are casts and staffs of Amachan. 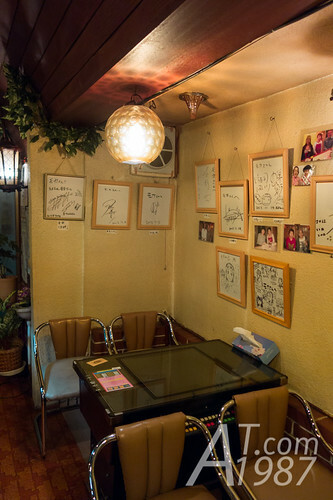 Like Cafe Rias in the drama. 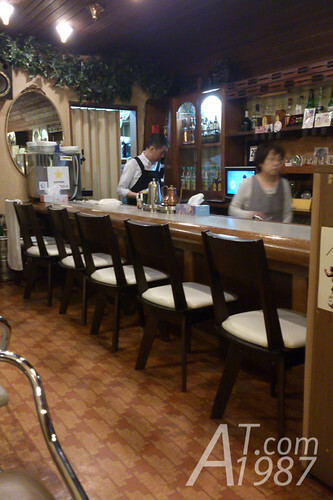 There is a counter bar too. 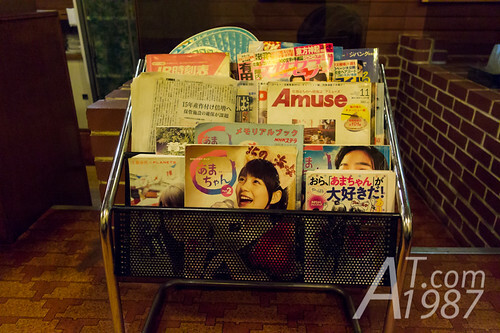 Newspapers, magazines and Amachan books are available for reading while waiting your meal. 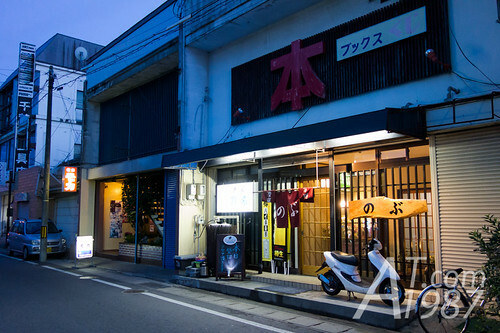 Moka serves beverages and western food. 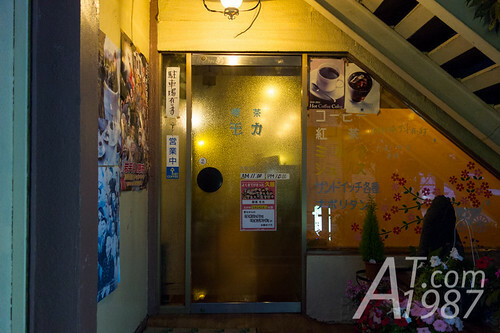 Their most famous menus are Napolitan spaghetti and tonkatsu sandwich. Since I had a Napolitan when I was in Tokyo. I tried out a meat sauce spaghetti instead. Its taste is well balance. Not too salty. Not too mild. I also added a little Tabasco for more spicy and my favorite grafted cheese. Owner knew I am an Amachan fan and gave me a NHK leaflet and city promotion postcards. She’s very kind. You can also order your dish as a set which includes a drink of your choice. 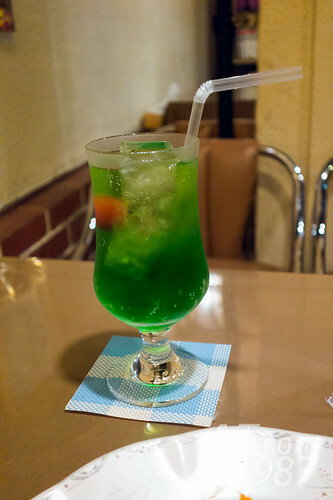 I chose a melon soda with my spaghetti. It’s taste very good. There was a cherry in the glass too. After I finished my dinner. 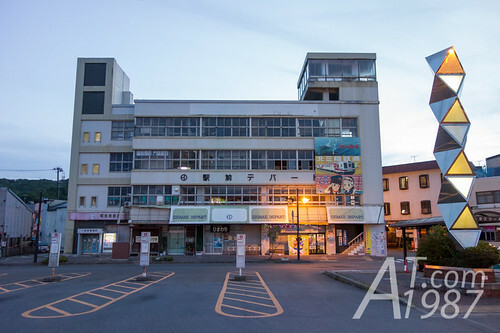 I planed to walk around to find a convenience store. However the weather was more cold and I didn’t wear my outer shirt. Finally I had to bring my shaken body back to the hotel. 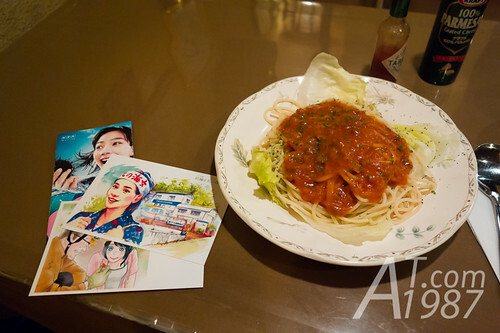 Next time I will write about another famous dish in the drama. Please look forward to it.